A few people laughed. “Dad joke,” Nic said. “What do you mean?” Melissa asked. “It’s everything,” Shane said. “You’re #1 to me.” Drake shook his head, smiling. Mrs. Malku stood in the kitchen doorway, wiping her eyes. “Dinner is served,” she said. “And the Kingdom is growing,” the group chanted as they bounded into the dining room. “Who would like to bless the meal?” Mr. Malku asked. The group made a quick dent in the pile of food on the table. Soon they were happily chatting with each other as they kept eating. The entire group looked sheepishly back at him. “Too much, probably” Stephen said. “That’s for sure,” Chloe said. “There’s way more on TV and the Internet than we could ever see,” Melissa said. “How much of the stuff you see makes a difference in your life?” Mr. Malku asked. The eating stopped. Everyone stared at Mr. Malku. “There are that many stories in the Bible?” Drake asked. Mr. Malku nodded his head as he put a fork full of food in his mouth. “Why are stories so important?” Stephen asked. “I like the stories in the Bible,” Chloe said. Mr. Malku’s eyebrows went up like he was surprised. He took another mouthful of food. “So that’s the answer,” Stephen said. “What’s the answer?” Nic asked. “Out of the mouths of babes,” Nic said. “Hey!” The girls shouted in unison. What does worship do in us as individuals? What does worship do for us as a people of faith? What does worship do through us for the world? Babylon (the world without God) is utterly fallen and corrupt. How does this affect you? Who does it make you want to become? There are many people who do not recognize the fallen world for what it is. 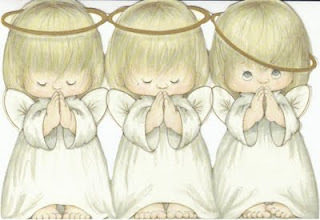 What does this second angel’s message compel you to do for them? How is this final message a call to serving others? What role does patience play in dealing with evil? How do God’s wrath and His love go hand in hand? “They just did,” Mr. Malku said. “What is the overall theme or message of the story?” Mr. Malku asked. “The world is falling apart and we should worship God because He has a plan,” Shane said. “God always seems to have a plan,” Stephen said. “What makes you say that?” Mr. Malku asked. The group clapped and cheered. “How can we take this hope, this future, to the world around us?” Mr. Malku asked. “We can tell other people about God,” Nic said. “We can write poetry about God and His love, and share it with people,” Melissa said. “We can create beautiful gardens for people to experience God in,” Drake said. “We can use our influence to bring change,” Liam said. “We can sing music that glorifies God,” Chloe said. “We can take a stand for goodness, and serve like Jesus did,” Shane said.